Also known as a snake, toilet jack, and rooter, a plumbing snake is a long, coiled auger, employed in dislodging difficult plumbing clogs, particularly when the use of a plunger or drain cleaner proves futile. At around 1/4-inch in thickness and with a handle on one end, this tool does the reverse action of a plunger. You gain access to the clog by pushing the snake into the drain, cranking the handle to send the snake down the drain, where it reaches the gunk and dislodge it. Depending on the type of snake you are using, say one that can be fitted onto an electric drill, you can have more power to force the tool through and dislodge the clog easier. A snake is a useful tool that can reach clogs when you feel like you are out of options. 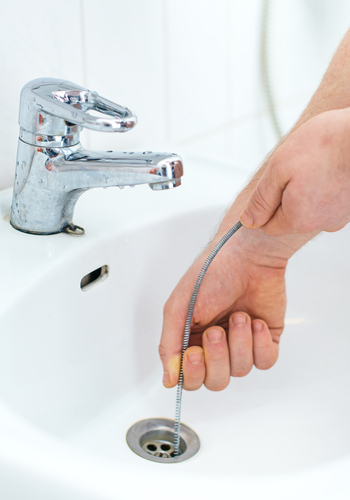 Here is how to unclog your drain with a plumbing snake. Decide on the type of snake you want to use, be it a manual one, an electric one, or a manual one that can be attached to an electric drill. Put on your protective gear, which in this case, is a pair of rubber gloves and goggles. Begin by inserting the snake into the opening of the drain, and when in a few inches, lightly crank the handle on the drum clockwise, containing the auger, which will move down the drain. Slowly feed the length of the snake down the drain until you come up against resistance. This should be the clog itself. If it’s the snake hitting the wall of the pipe, readjust and keep going. With clog reached, rotate the snake against the blockage until you can feel the snake feed freely into the pipe. You may feel the end of the snake grab the gunk if the clog is solid. The auger head could spin or chip up the clog and flush it down the drain. If it entangles the object, you should slowly pull the auger out of the drain and in the process, possibly pull the clog in the process. Dispose of the clog in the trash. To ensure that the drain is fully unclogged, run water full force for a couple of minutes to flush any remaining material down the drain. It’s crucial to remember, if the clog is located too deep in the pipes or sewer, the plumbing snake won’t do much help. Boston Drain Company can arrange a more in-depth video pipe inspection, which will definitely locate the source of any plumbing problems. If you want advice on how to use the plumbing snake, call professionals to help you get the job done. Boston Drain Company has been serving the residents and business of Massachusetts for decades. We have experience and knowledge to deal with any clog, even the toughest one, whether it’s on the surface or deep in the pipes. So why bother making a mess and wasting your time on something our technicians will do fast and efficiently? 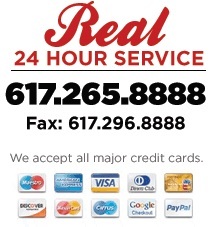 Contact Boston Drain Company online or call 24/7/365 at 617-265-8888! Posted in Blog, Drainage Tips, Frequently Asked Questions.